AKIPRESS.COM - More than 27 tonnes of pangolins and their scales - believed to be worth at least £1.6m - have been seized from traffickers by Malaysian authorities on Borneo, Sky News reports. Police discovered two major factories on the island's eastern state of Sabah. They found containers holding 1,800 boxes of frozen pangolins, a further 572 frozen pangolins in separate freezers, 61 live pangolins and 361kg of the animal's scales. Two bear paws and the carcasses of four flying foxes were also recovered in what was the biggest such bust in the southeast Asian country. 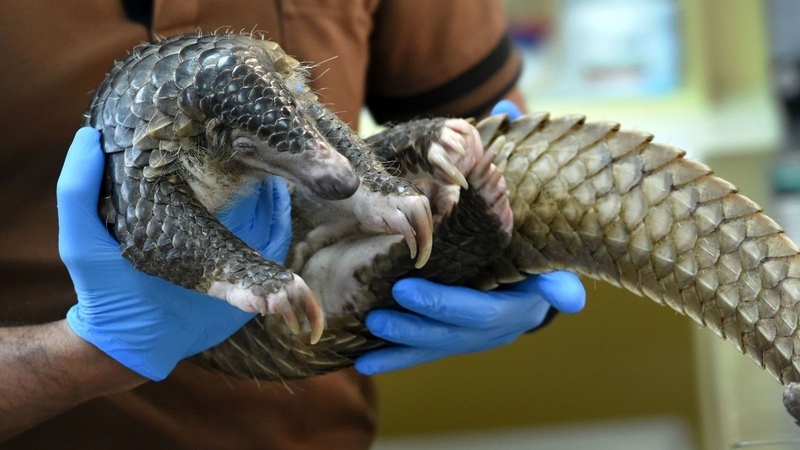 The pangolin, a scaly mammal, is said to be the most trafficked animal on Earth. Demand for the animal and their products has dramatically increased over the last few years, as authorities struggle to control a rampant smuggling trade. The creature's scales contain keratin, which is used in traditional Chinese medicine, and its meat is considered a delicacy in China and other Asian countries.